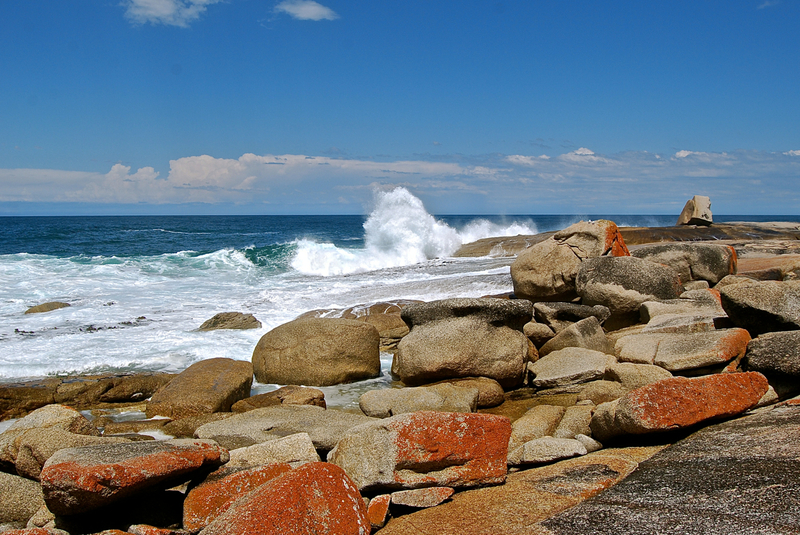 A while ago we visited Bicheno, which is situated on the East coast of Tasmania. 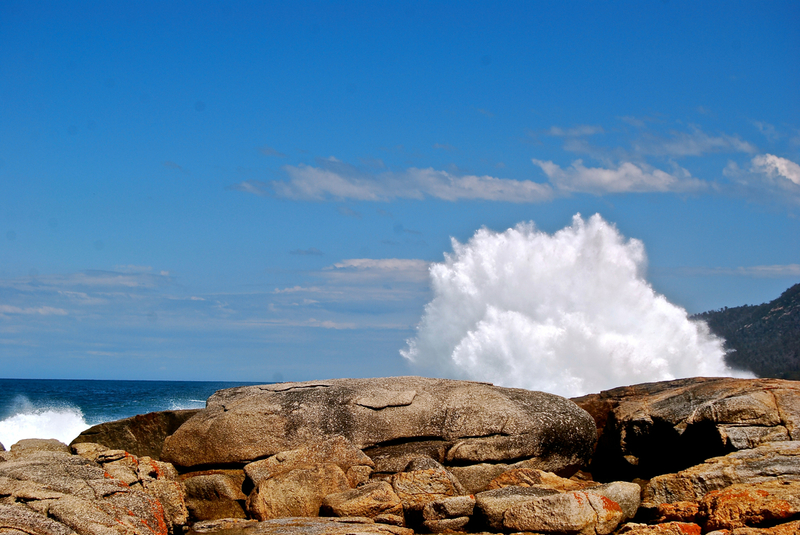 Bicheno is a picturesque town famous for its sandy beaches, mild climate and sunny weather. 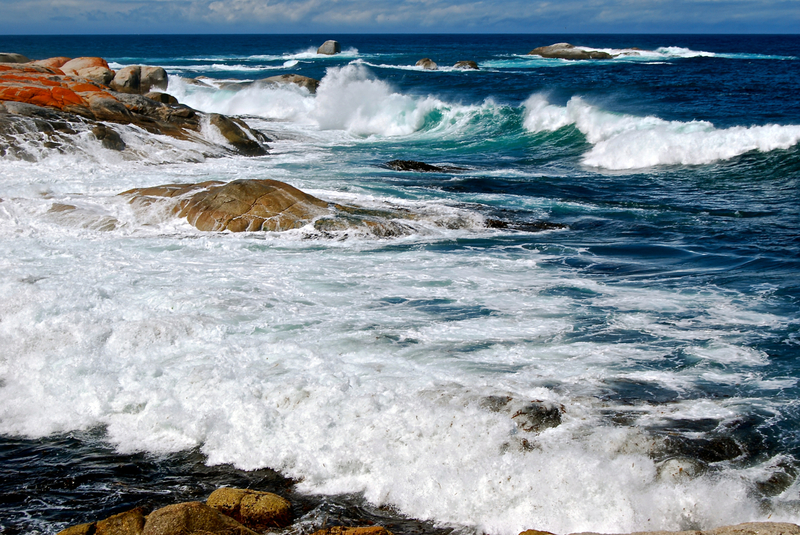 It is located 185 km north-east of Hobart on the Tasman Highway. The town is primarily a fishing port and a beach resort. 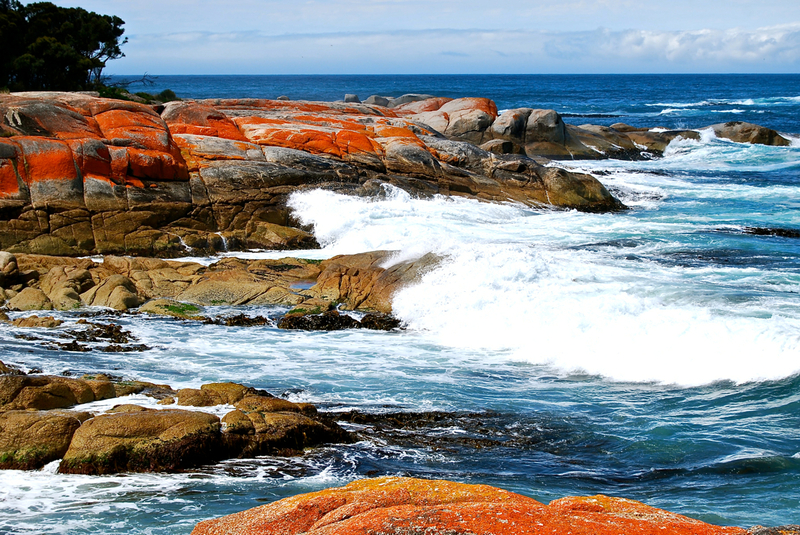 The red lichen coloured rock scape on the foreshore is unique to the east coast of Tasmania, South Africa and Antarctica and makes for beautiful coastal scenery. Excellent photo capturing the great colors from the rocks. 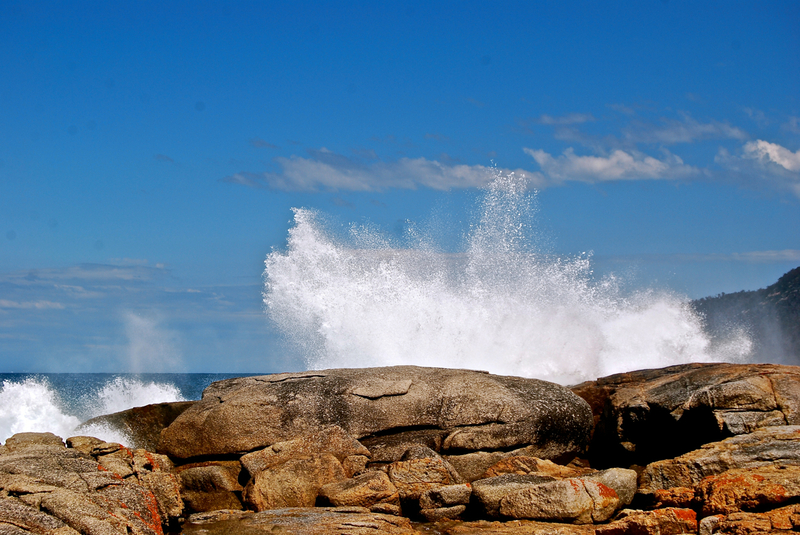 I remember taking photos is similar rocks and colors at Victor Harbour in South Australia a few years ago. Thank you, it is such a picturesque area. I have not been to Victor Harbour. 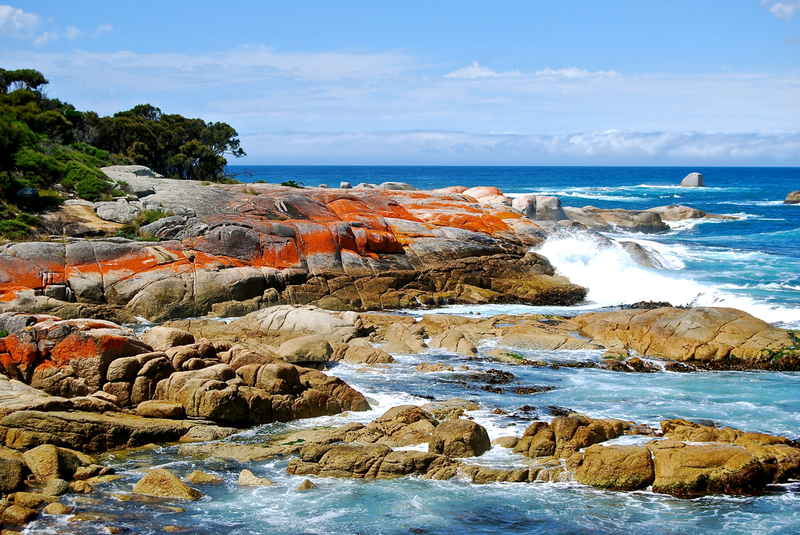 Stunning landscape of fiery rocks against the cool azure of the sky and water.